Sometimes you just don't need a big heavy shock rack! For the situations when you only have 1 RU or 2 RU of gear and a few peripheral items LM Cases developed the "Rack In A Box". 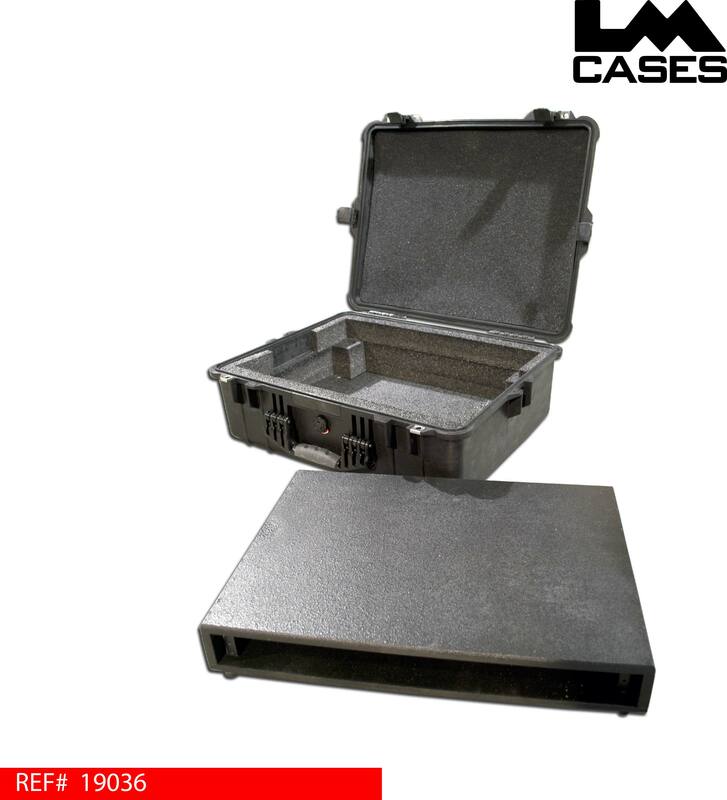 We start with a Pelican 1600 case and custom foam insert to hold a 1 RUrack shell. The rack shells are built from 1/2" Baltic Birch that is black painted and outfitted with front and rear rack rails. The rack shells are designed to rest on foam blocks in the Pelican case allowing for an open storage space under the rack shell. You also have the option to custom cut the interior to fit your specific application.